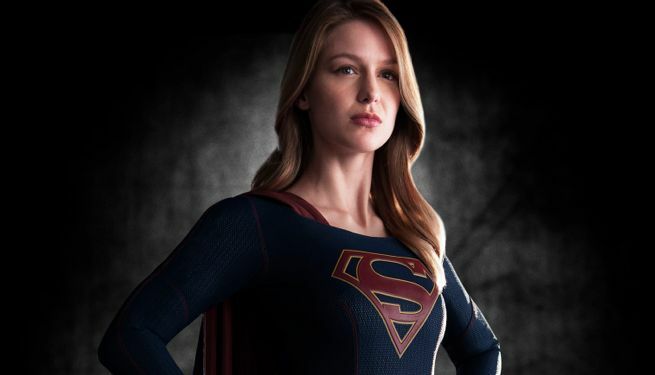 Warner Bros. Television has released the first two images from CBS’s new pilot Supergirl, from The Flash and Arrow producers Greg Berlanti and Andrew Kreisberg. 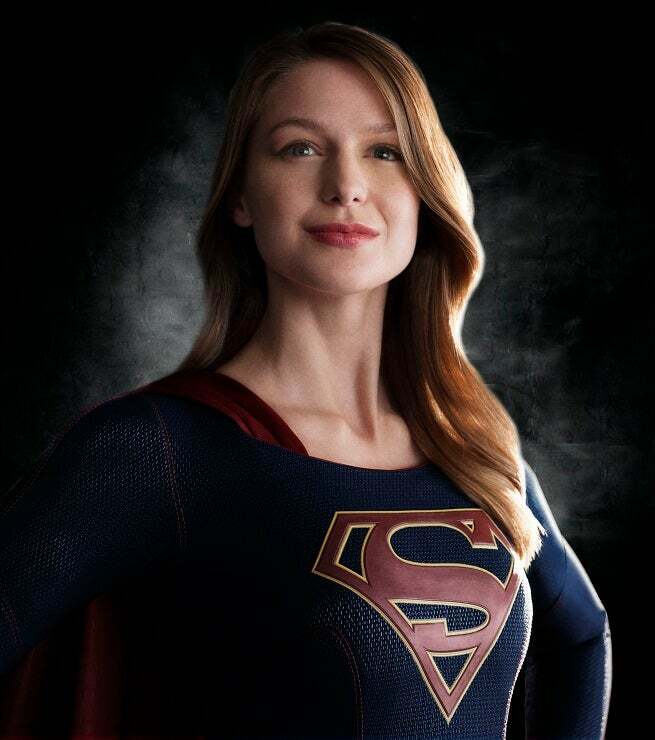 The series, which started shooting this week, stars Melissa Benoist as Kara Danvers/Kara Zor-El and Supergirl. Grey’s Anatomy‘s Chyler Leigh will play Kara’s foster sister Alex, Homeland‘s David Harewood is Department of Extra-Normal Operations director Hank Henshaw, Desperate Housewives‘ Mehcad Brooks is Jimmy Olsen and Ally McBeal‘s Calista Flockhart will play Kara's boss Cat Grant. Laura Benanti, Dean Cain and Helen Slater all also have roles in the series, and Iron Man's Faran Tahir will play one of the villains. 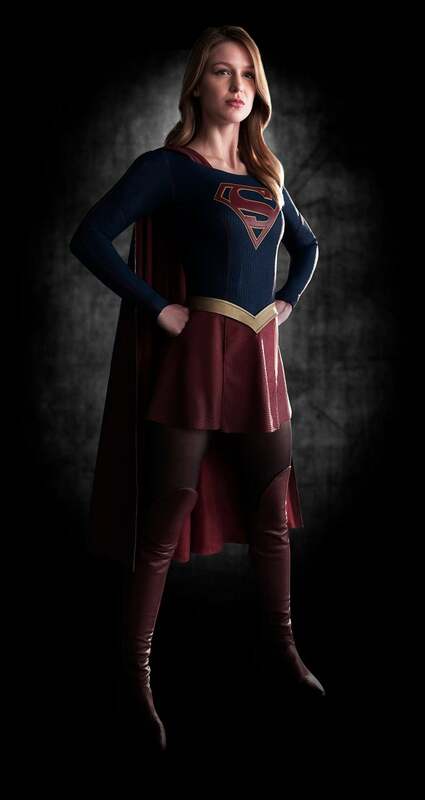 The costume for Supergirl was designed by Colleen Atwood, who also designed the costumes for Arrow and The Flash and whose motion picture credits include Academy Awardsfor her work on Alice in Wonderland, Memoirs of a Geisha and Chicago, as well as eight additional Oscar nominations for films such as Into the Woods, Snow White and the Huntsman, Sweeney Todd: The Demon Barber of Fleet Street and Sleepy Hollow. “In designing Supergirl, I wanted to embrace the past, but more importantly, thrust her into the street-style action hero of today,” Atwood said. Supergirl is from executive producers/writers Greg Berlanti, Ali Adler and Andrew Kreisberg. Sarah Schechter is also executive producing, with Glen Winter directing. Based on the characters from DC Comics, Supergirl is produced by Berlanti Productions in association with Warner Bros. Television. Benoist is the third actress to play Supergirl in live action for the screen, the first being Helen Slater, who appeared in a live-action feature film as the character and the second being Smallville's Laura Vandervoort. Both used brighter, more comics-traditional colors for their costumes, although Vandervoort never truly "suited up," only wearing an outfit that approximated the look of her costume from the comics.